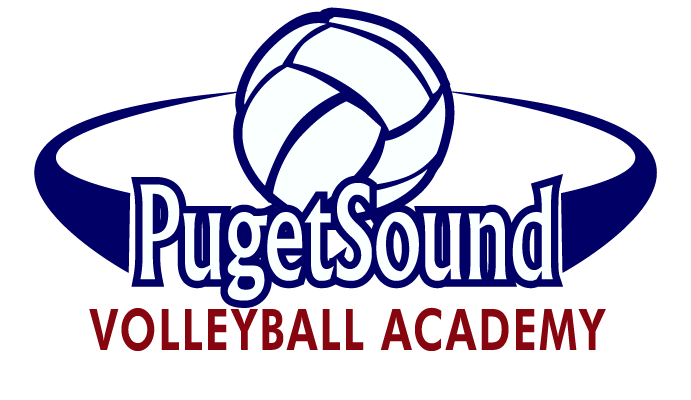 The Puget Sound Volleyball Academy Beach Club will be offering beach volleyball clinics through July and August this Summer. ****MUST REGISTER 24HRS IN ADVANCE! 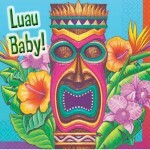 We have had such an incredible season that it seems fitting that we celebrate the success of our teams, players and coaches with a Luau! This year we will hold our end of the year all club event at Competitive Edge on Friday, June 13th from 6:30 to 10:30 pm! It’s a time to have fun, recognize the teams that have done well, honor our graduating senior players, and give an opportunity for our teams headed to Minneapolis to compete at the Junior National Championships an opportunity to raise funds for travel! Presale tickets for dinner cost $20 per person and includes an entry to our prize raffle happening throughout the evening! Dinner tickets at the door cost $25. There is not cost to players and coaches that are on teams headed to Nationals since they will be working and helping with the event! There is also no cost to our Senior players and coaches as we are honoring them! The Emerald City Classic is our last major competition before Nationals! Our club has had a tremendous year and as we wind down our season we find many of our teams at the very top of their age divisions with another strong overall performance by our teams! Here are some of the highlights! 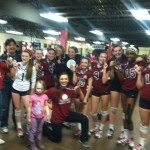 PSVBA 12-Todd goes a perfect 5-0 to win the 12 Open Division. The 12s came in seeded 2nd overall in pool play and began the tournament working on some new rotations. They found their grove and finished the U12 tournament on top! 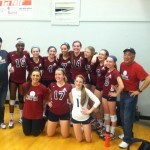 PSVBA 14-Jess goes undefeated 9-0 to win the 14 Open Division! They played well all weekend long, had an epic comeback in the first game of the Championship match against a good Portland VBC team down 10 for most of the game to win 26-24! Kennedy Croft and Kasey Woodruff are selected to All-tournament team – the whole team could’ve gotten it! Kasey is this year’s recipient of the Candis Carter Libero Award for the U14 group. PSVBA 16-Rodney finished 2nd in the 16 Open Division! The girls just got better as the tournament wore on despite being tagged with several key injuries along the way. The road to the 16 Open Championship was not easy as the team played three matches on monday just to reach the finals. We faced a very good NW Excel team and were able to win the first game (25-20) as the two great teams battled back and forth, however we dropped the last two sets as it became apparent our girls had nothing left in the tank. It was a great finish for what we consider the most over-achieving team in our club this year! 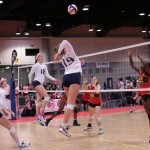 Kara Bajema was also selected to the All Tournament team as the MVP in a group of outstanding U16 players. 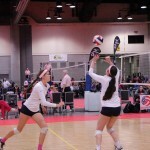 PSVBA 17-Bri finished 5th overall in the tough 18 Open Division! PSVBA 16-Joe got to the Silver bracket championship final, finishing 8th overall in 18 Open despite not having one of our key offensive players availabe. For many of our graduating seniors was a good end to their club careers! 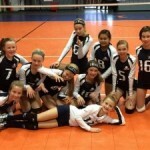 PSVBA sending 5 teams to Minneapolis! We have been and continue to be a club that prides itself on trying to be just a little better than the year before. We continue to challenge our players and coaches to improve on our performance by doing well in our region with the end goal to be more competitive nationally! We strive to raise our level of play and continue to push our limits of performance at Junior National Qualifiers and at the GJNC. We’ve steadily improved on this each and every year. This year marks the first time our club has earned (3) bids to the Junior National Championships at a National Qualifying Event. We had a great overall showing at the Pacific Northwest Qualifier held in Spokane in March as a club. 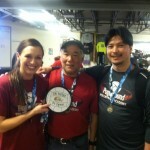 Our teams came home with two Championships in the 17 Open and 16 USA age divisions. We also came home with a 3rd place finish in the 14 Open age division in a super tough field where we earned our third bid of the tournament. 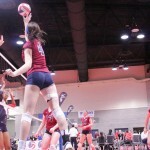 Our teams performed well in our region’s Bid Tournament held in April, where we earned our fourth bid in the 12 National age division by winning our region’s Bid Tournament. We narrowly missed out on securing two more bids with a second place finish in the U15 Bid Tournament and a 3rd place finish in the U18 Bid Tournament. We remain 1st in line should a reallocated bid become available in the U15 age division and 2nd in line should a reallocated bid become available in the U18 division. We are very happy with the way our teams have competed thus far and look forward to all our teams continuing to improve. At the moment we are sending four qualified teams and five teams overall to Nationals to be held in Minneapolis in June. It has been a solid season for our club thus far and we are looking forward to continuing to push ourselves to be even better! Congrats to all our players, coaches and families for your hard work and support! 2014 Power League Final Results! Congrats to PSVBA’s college committments! Our college bound athletes continue to work hard to develop into players that will compete at the next level! 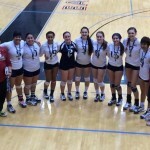 PSVBA 17-Bri Wins Gold at PNQ! 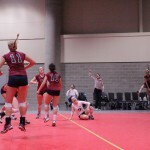 PSVBA 17-Bri entered the Spokane qualifier under adverse conditions. Our roster of 9 was depleted, dealing with both injury and illness, including a pulled quad, multiple shoulder injuries, a injured foot, and a setter with severe flu symptoms. We limped through day one, finishing second in our pool but winning our cross-over match. While the win kept us in contention for an open bid to Nationals, the day had taken its toll; adding an aggravated back to the list of our walking wounded team. The day ended with us wondering less about our chances of qualifying for nationals and more about our chances of finishing the tournament. We began the second day armed with icy hot, KT tape and a fierce determination to succeed. We gutted out the day – Once again, finishing second in our pool, and our chances of qualifying still intact. We implemented a mandatory ice, rest and sleep regimen on Saturday night in an attempt to give our players a chance to heal. Slightly rejuvenated, our team entered Sunday two victories away from a qualifying bid to Nationals. Our stamina and resolve were tested early and often, but we fought through, winning the first match of the day in three sets: 25-20, 24-26, 15-9. We used the time between the first and second match to apply, icy-hot, ice packs and rest. The second match proved just as tough as the first, a three set thriller, which we won 23-25, 25-23, 16-14. With the win, we accomplished what had appeared to be a stretch at the beginning of the tournament – we qualified for the JNC in the “Open” Division! Two hours later, their bodies tired, muscles tight and running on fumes, the team entered the championship game against another very good team. Our ladies dug deep and played like they had had days of rest and all of their aches and pains were forgotten. It was an amazing effort that resulted in a win in their third 3-set game of the day. This tournament was a time of true growth for our team. We are proud of what our players accomplished during the tournament, however, we are more proud of their development as a team. They fought through adversity, showed an iron resolve and supported each other. 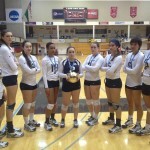 Their actions revealed a side of this team we knew existed but had not seen fully realized until this tournament. We are looking forward to the rest of this season, their further development as athletes and teammates and a successful showing at Nationals in Minnesota. 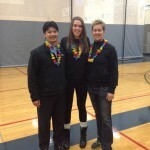 Congratulations to PSVBA 17-Bri, PSVBA 16-Rod, and PSVBA 14-Jess for winning bids at the 2014 Pacific Northwest Qualifier! 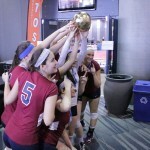 PSVBA 17s finished 1st Overall in the 17 Open Division (read how they did it here) winning the coveted “GOLD” Ball, playing their best on Championship Sunday! 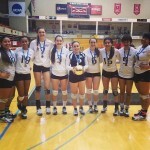 PSVBA 16s go undefeated (9-0) all weekend in the 16 USA Division and bringing home our club’s first of two “GOLD” Balls in the tournament! 14s played awesome, finishing 3rd Overall going (8-1), with only loss coming in the Semi-Final against Mad Frog and only team in the tournament to beat the eventual Champion – Skyline! Well done everyone! 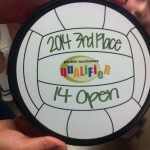 1st Place – Earn Bid! 3rd Place – Earn Bid! The path to being recruited for college is different for each of our players but being informed about the recruiting process is a must for any player wanting to be recruited! Get informed! 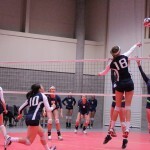 We are hosting meetings for our 16s/15s/14s players and parents regarding basic information about recruiting. As a club we are committed to feed as much information to our families to help them navigate through this process. These meetings are only open to our players and parents. See meeting schedule below. 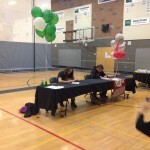 As a club we do a good job producing talented players that have the ability to play at the collegiate level. 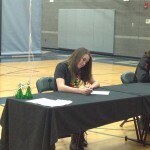 At this point, many of our 2014 Senior Class have inked their National Letters of Intent to play in college next Fall. Close to half of our 2015 Junior Class is already committed to play collegiate volleyball when they graduate and we already have a commitment to play from our 2016 Sophomore class. 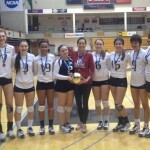 PSVBA 18s – Setting a Great Example! 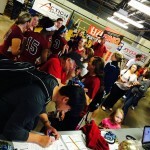 Kudos to our PSVBA 18-Joe team doing a great job giving back to the sport of volleyball. 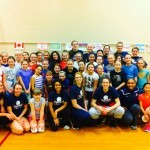 Our 18’s held a youth clinic at West Seattle High School on Feb. 8th. The clinic was very successful, with over 80 young players that are getting ready to kick off their CYO volleyball season. Was a great day and we are proud of our 18s setting a great example for many young players to follow! Click Link for a great article featuring Holly Nichols and our U-12 team out of the Olympia area! 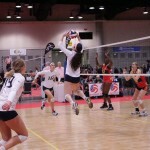 Tryouts for PSVBA’s U18 & U17 Teams! Don’t forget to register for our U17/U18 tryouts on November 21st from 6:30-8:30 pm at Competitive Edge! As we get set for the 2013-14 club season we are expecting to have some very competitive teams at the U17-U18 age group and have slated some of our best, most experienced and successful coaches for these teams. Joe Baleto (former Seattle University/West Seattle coach), Bobby McGivern (SMU/Emerald Ridge coach), Bri Trier (former WWU player), and Jamie Anderson (All-American WWU player) are the headline coaches for our 17s and 18s group. We are planning on forming a competitive 17s national team, and possibly two competitive 18s national teams if the talent level and turn out is as good as we are expecting. If we end up selecting two competitve teams then Joe Baleto will coach one and Bobby McGivern the other. If we end up seleting only one team then Joe and Bobby will coach together. 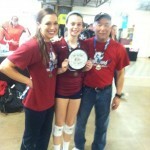 Bri and Jamie will coach the 17s. No matter what happens at tryouts all of these coaches are great! Hope to see you there! PSVBA’s U14 team looking to be real good! Congratulations to the following players for making our PSVBA 14 National team coached by Jessica Hansen and Jessica Vanzant. It looks to be a solid team with all the pieces you look for when trying to compete at the National level! 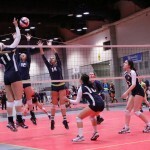 Tryouts for PSVBA U15-U16 Teams! Don’t forget to register for our U15/U16 tryouts on November 19th from 6:30-8:30 pm at Competitive Edge! As we get set for the 2013-14 club season we are expecting to have some very competitive teams at the U15-U16 age group and have slated some very experienced and successful coaches for these teams. Dan Ishii, Rodney Kalalau, Bobby McGivern, Katy Ferguson, Kimiko Shadle are going to be the headline coaches for our 15s and 16s. We are planning on fielding at least (3) teams in the Puyallup area. 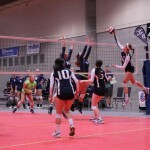 A competive 15s national level, a competitive 16s national and a competitive regional 15s/16s team. Hope to see you there! U14 Tryouts for Olympia Area team today! We are holding tryouts for our U14 team in the Olympia-Tumwater-Capital area today from 10:30am-12:30pm at Griffin School. The team will be coached by SMU’s Halee Hernandez and expected to be a regional level team. 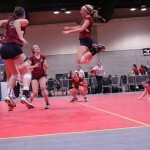 U14 & Under Tryouts Coming! Tuesday, November 5th, 2013, for our U14 & Under teams at Competitive Edge in Puyallup! 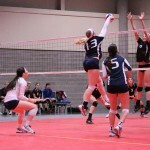 U14 & Under in Olympia area TBA soon!